New Brooklyn Restaurant James- Worth a Try? I read three blurbs on a new American restaurant in Prospect Heights in Brooklyn and I have to say, I’m intrigued. It looks sophisticated and the menu sounds really good. 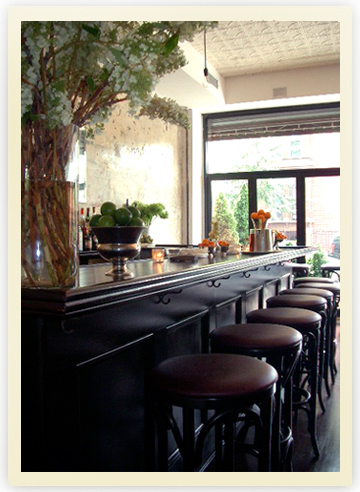 It’s called James, opened by a chef who used to cook at Bouley and Union Pacific, and his wife, an event planner. A good sign that they’re invested in this spot: they live in the apartment upstairs from the restaurant. Read more here, here, and here. at first bite · eating. drinking. exploring.